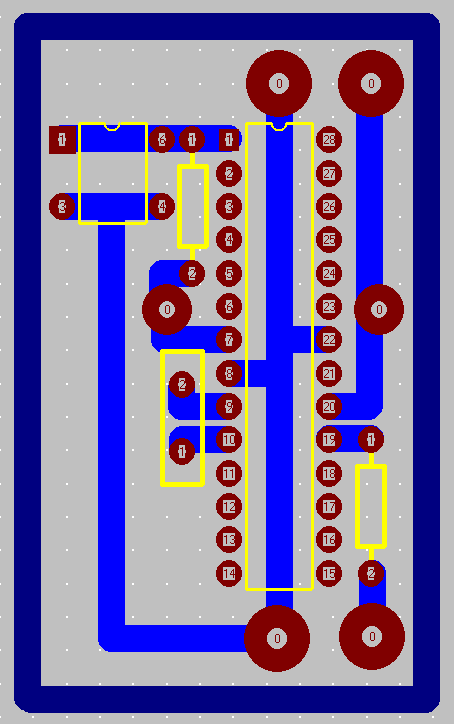 Had some extra time before T-Day Dinner so I designed and bread boarded some circuits. Remember all of those LM324 we got donated, here are a few new projects for my students. 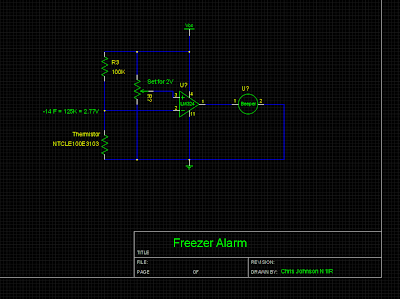 Here is a Freezer Alarm Circuit that uses a thermistor, a simple comparator. 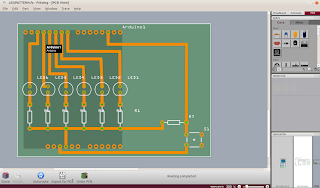 Tested and protoboard, PCB comming soon! 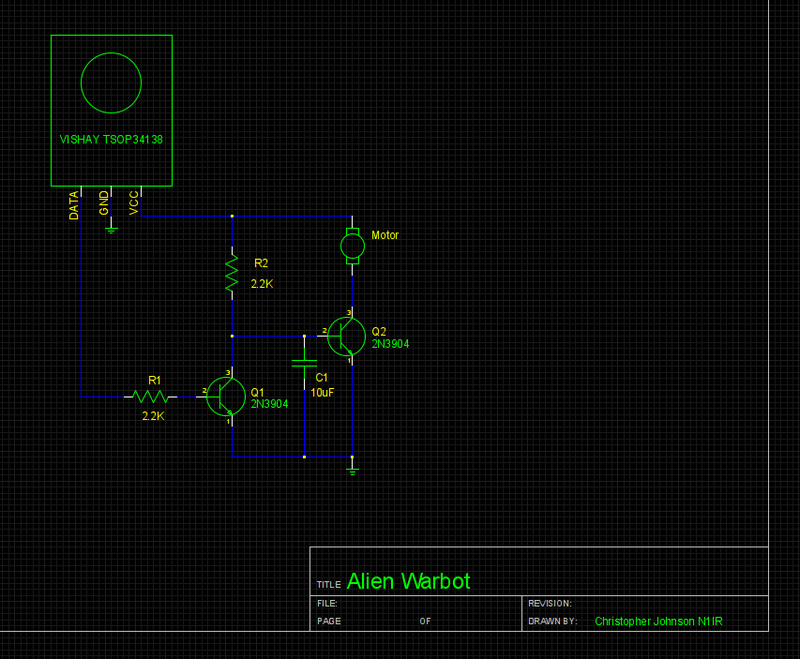 Alien Warbot, Scoots around with a vibrating motor when a IR signal from a remote is received. 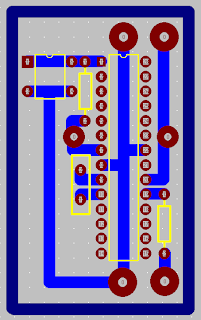 Tested and protoboard, PCB comming soon! 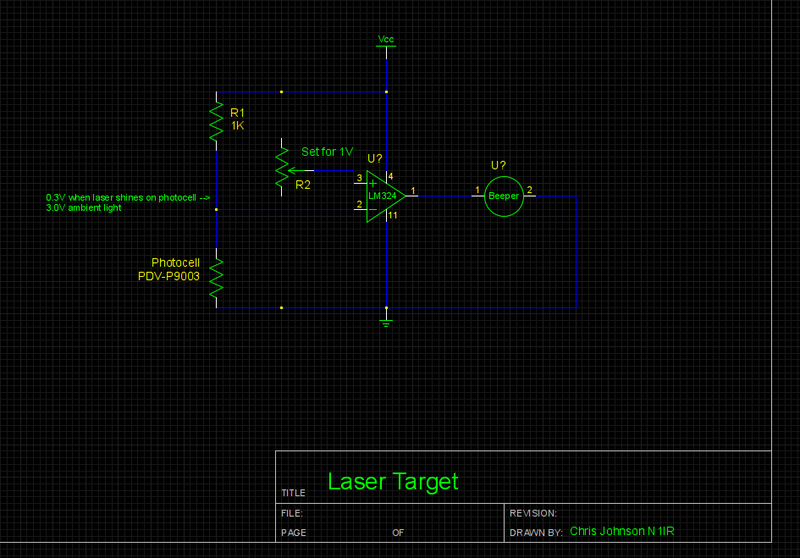 Laser Target, Hit the target with a laser pointer and an alarm beeps. 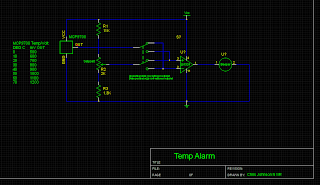 Hook it up to a solid state relay and turn on a light.Tested and protoboard, PCB comming soon! 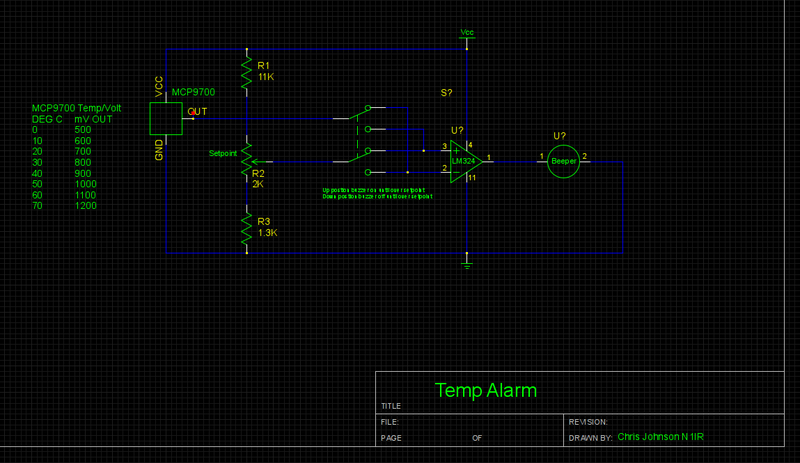 Simple Temperature Alarm / Controller, for cooling or heating. 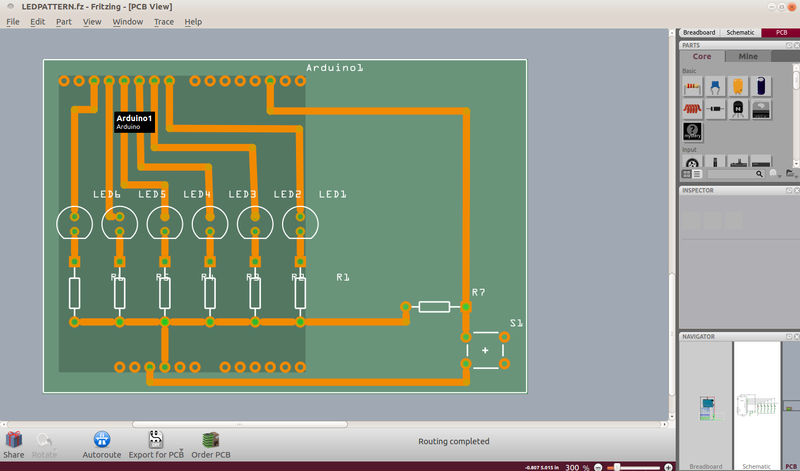 Tested and protoboard, PCB comming soon! 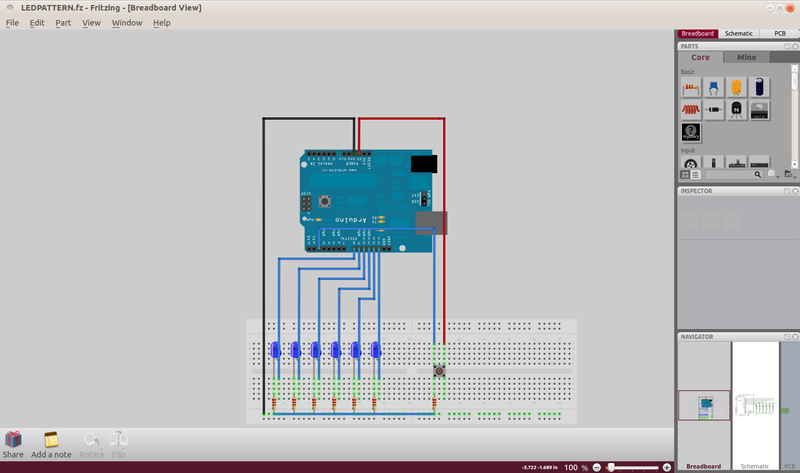 I also tried out software called Fritzing, tried it with a simple arduino project. 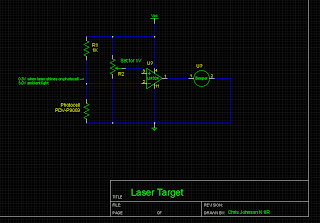 It was pretty intuitive but the PCB had something to be desired, very limited options on trace size. 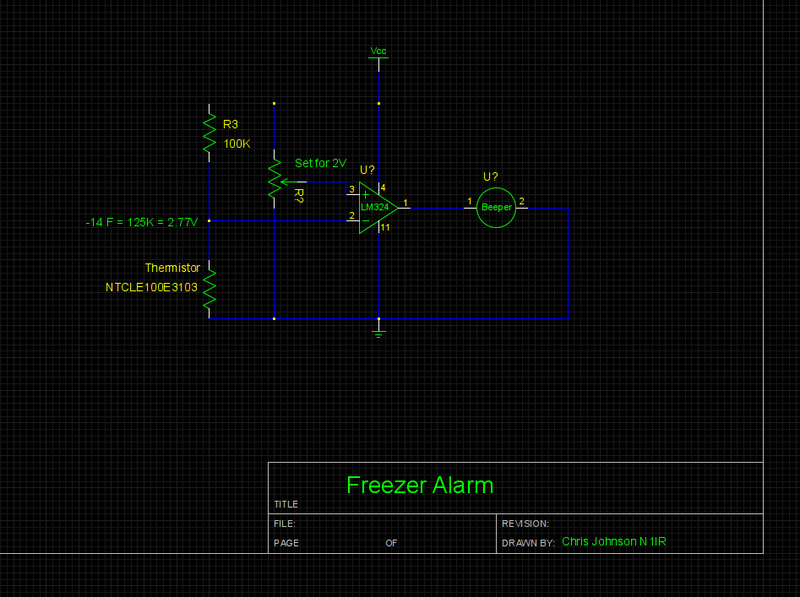 I use 80 mil for all traces and the max was 48 mil. 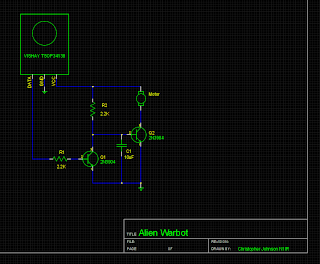 Unfortuanlly I only had four hours to to this, all of the circuits work and were prototyped and worked, but the PCB will have to wait until another day.